With an endlessly beautiful coastline and idyllic weather to boot, Sydney has some mind-blogging things to offer to its visitors. When you Solo Travel in Sydney, you will be here spoilt by choices. And the city got that ‘WOW’ factor in all modes. From the world famous Opera house to pristine Bondi beach, everything exhibits a hyperenergetic vibe! 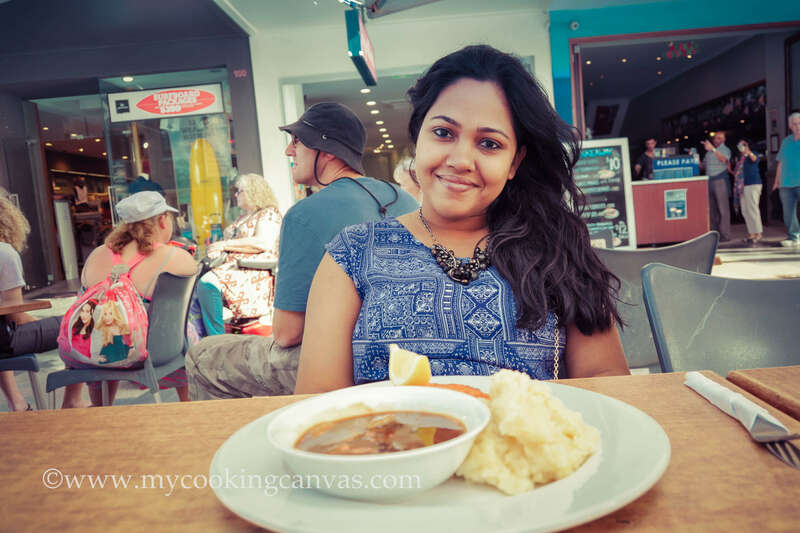 Solo Travel in Sydney was an amazing experience for me. My hotel was located near Hyde Park. To enjoy a comfortable hassle free travel get an OPAL card first. Recharge with a good amount which will be valid for all kinda transport like bus, metro, and ferry. The best place to start your visit is in Circular Quay. And if you want to start a great day tour, this is the right place where you go! The Quay is the main transport hub of Sydney Harbour. It’s here, where the two of Australia’s most famous landmarks reside; the Sydney Opera House and Sydney Harbour Bridge. Take a ferry tour to enjoy wonderful views of the famed Sydney Harbour and its many landmarks. “Gaze, graze, repeat” is the rule in Cafe Opera. With an alluring international menu of choice sourced from sea to land awaiting you. This place is just perfect to relish a brunch with an un-interrupted sight of sublime harbor bridge. Sydney is famous for its easy-going lifestyle and great coffee. I loved my Poached scallops with avocado mousse on my plate along with a cup of cappuccino. This is a great place to relax and mingle with Sydneysiders. I was there in a pleasant Summertime. In the mild climate of Sydney, one can sit outdoors at cafes most days of the year. And enjoy the sights and sounds of the city. The 350-meter strip that lies between Circular Quay and the Sydney Opera House is Sydney’s most favored area for eating out. 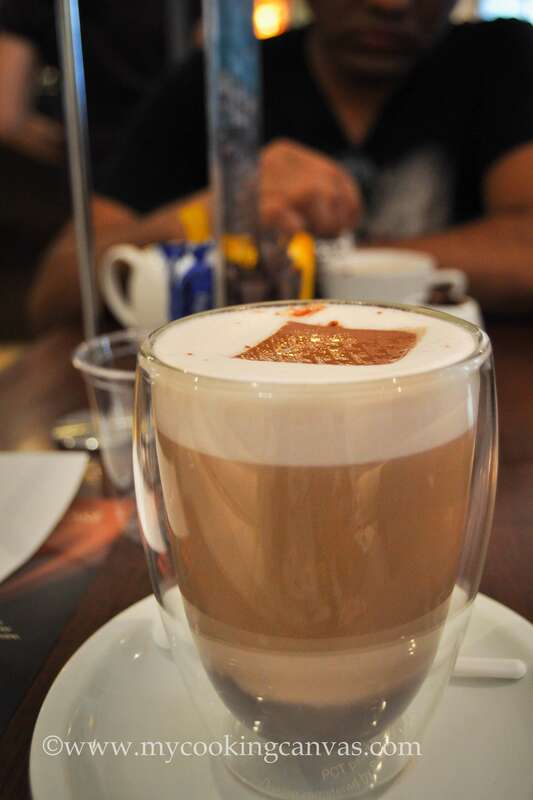 The city is blessed with numerous good cafes. All you need to do is grab a chair at one of such cafes, peruse the menu for tasty food and cooling drinks. A ferry from Circular Quay across majestic Sydney Harbour is a pleasurable way to get to Watsons Bay. Watsons Bay is Australia’s Oldest Fishing Village which was founded in 1788. Being Australia’s oldest fishing village, Watsons Bay is popular for splendid views, delightful park and delicious seafood. This place is home to several buildings dating back to the 19th century. As you walk down to the South from the wharf, you can see the Hornby Lighthouse with breathtaking views. The lighthouse was built in 1858. 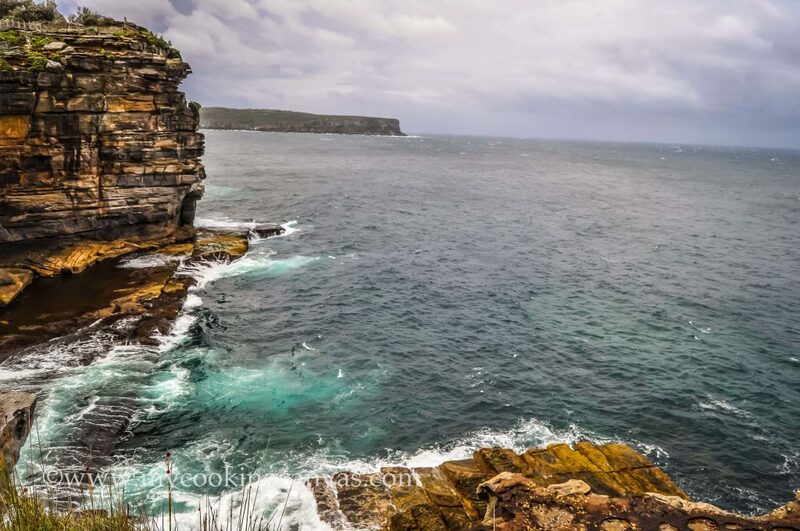 The Gap is one of Sydney’s most famous ocean cliff lookouts with panoramic views. 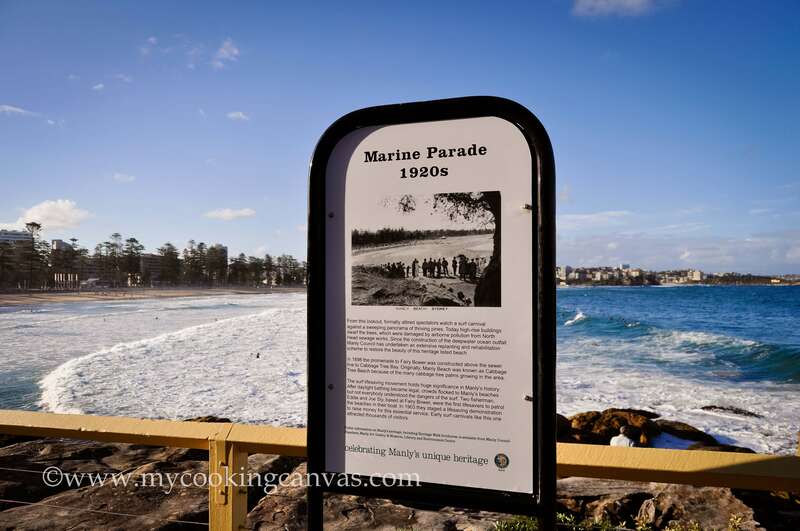 It is located on the opposite side of the Watsons Bay ferry wharf. Just take a long Breathe, relax for a few moments admiring the Nature. How beautiful the creation could be! 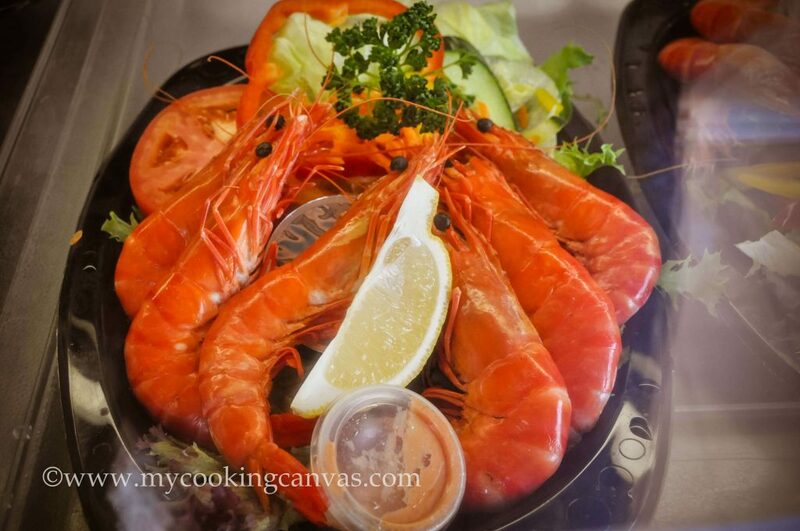 Doyles on the Beach has long been a fine dining Sydney institution for fresh fish, lobsters, prawns and more. 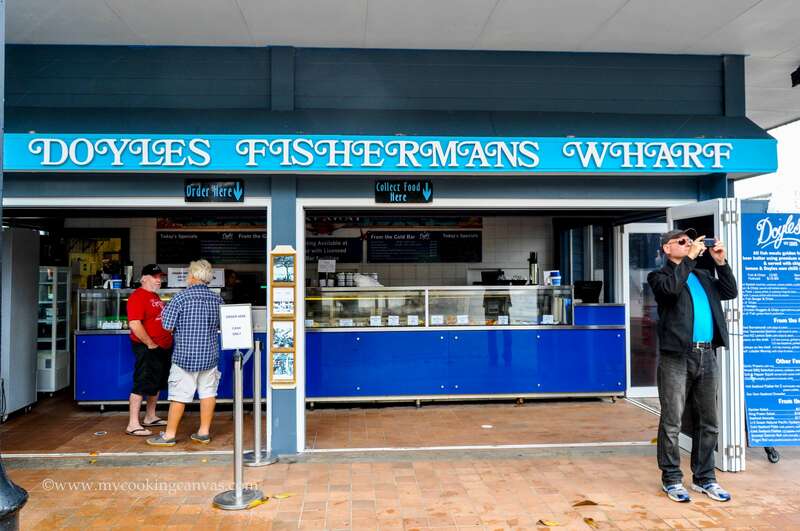 you can order the best fish and chips at Doyles on the wharf. I enjoyed my fancy long Lunch at the stunning Iconic building of ‘Dunbar House’.With the boundless view of the harbor with colorful yacht floating, that lunch happened to be one of my most favorites till date. 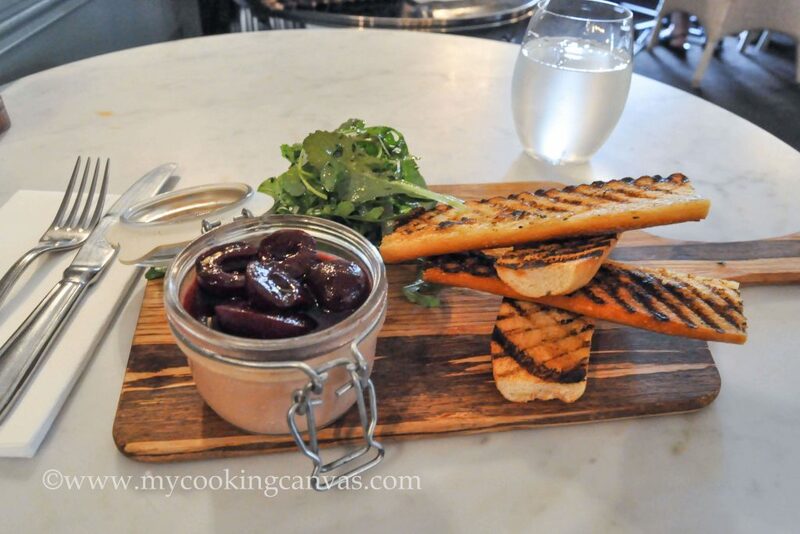 I relished Duck Parfait, a velvety mousse made from duck liver topped with spiced cherry. This pretty cafe in Darling Harbour offers an amazing chocolate experience with spectacular Darling Harbour views. 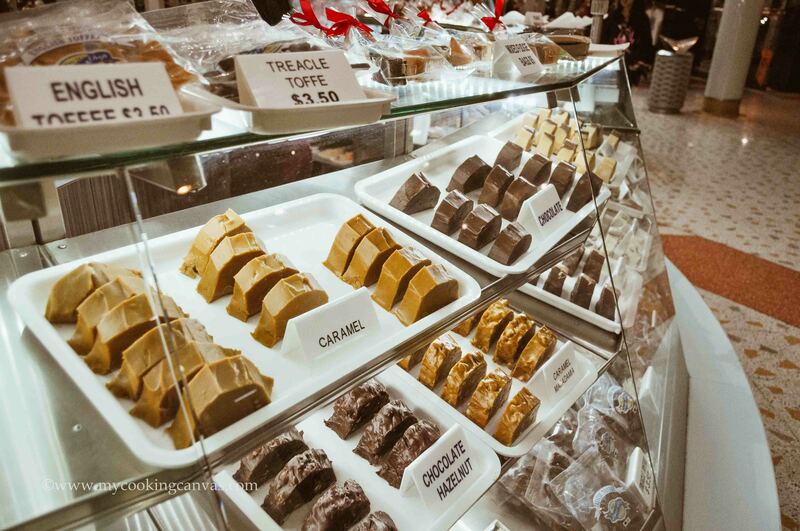 Treat your taste-bud with world’s finest handcrafted chocolates, hot chocolate and many more. A treat to your eyes too! Darling Harbour is also home to Madame Tussauds Sydney, Sea Life Sydney Aquarium. So many sea-side restaurants and bars to choose from, so much activity. I am a shopaholic. Don’t miss the Shopping! I also tried boozy ‘Rum & Raisin Fudge’ from Fudge Shop. Darling Harbor is full of Life in the night. The sparkling city skyline in the night is something which gonna take your attention again and again. There is a waterside firework happen on the weekend which is like a cherry on the cake. Hey, Hold on! I am talking about the World Famous Bondi beach. And there is something mystical about the Sunset at this place. Some gaze in awe! That sight stays in my heart forever. The wide panoramic beach view with a lively spree all around. That color brings the hope of seeing the light again. The darkness of night always leads to a bright Morning. Life is full of such small things which can be named as ‘perfect Happiness’.The sunset colors are an array of such Happiness. Along the beach line, you can find a lot of cafes.The only thing you should be careful about is not to booze on the beach. It’s prohibited. Aussie beach would be incomplete without a surf spot, and Manly is one of the best in World. The diversity and consistency of surfing conditions at Manly Beach are as remarkable as the stunning coastline. A 30-minute ferry ride from Circular Quay offers an unbeatable view to reach Manly Beach. One of the first spots I came across in Manly was The Corso. The pedestrian-only strip serves as the main street, with an expansive walkway. A place where you can have best ‘Fish n chips’ with a chilled beer soaking up the sun. It’s just a popular pastime there apart from watching the Surfers, the wave riders! 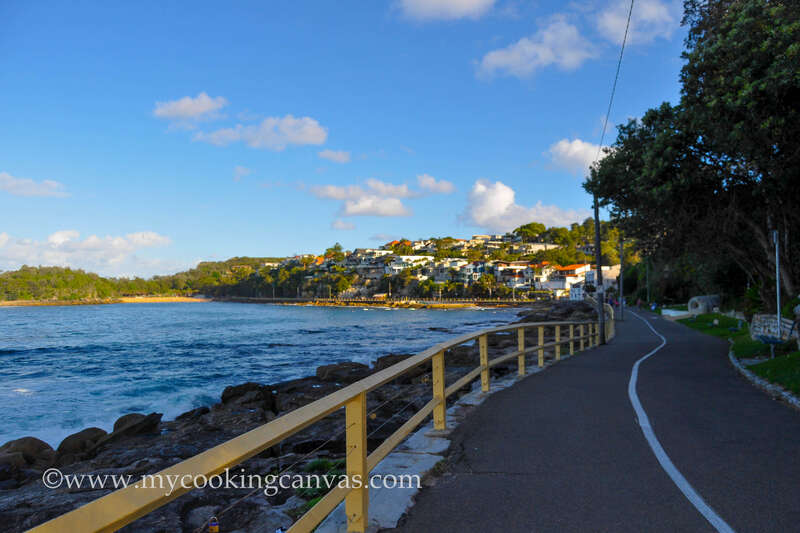 The Cabbage Tree Bay Eco-Sculpture Walk takes about 15 minutes from the surf club near the south end of Manly, follows the jagged coastline all the way to Shelly Beach. This coastal line past 11 sculptures portraying the history and wildlife in the area. One spot definitely worth a stop is the Fairy Bower baths, which are cordoned off from the sea by huge stones. Thank you for stopping by at my blog.I hope you enjoyed reading this. Stay Happy & Live Life As You Like.